The number of Canadians over the age of 65 is quickly increasing. Over the next 30 years, the population of seniors in Canada is expected to double. At the same time as Canada’s senior population is growing, so too is the need for housing that matches the needs of an aging population. While it is clear that the housing industry must be prepared to respond to this challenge, findings from the Atlantic Seniors Housing Research Alliance (ASHRA), a five-year research project looking at the long-term housing needs of Atlantic Canadian seniors, suggests that few communities are preparing themselves for the upcoming demographic shift. This a concern, in light of the fact that as Canadian baby boomers age, they are entering a stage in their lives when making housing decisions requires careful consideration, and the role of the Realtor will be even more important in their decision-making process. We will see the effect of population aging in terms of the location of residences, the design characteristics of new homes, and the range of financing options available to senior boomers. We will also see changes to the variety of services available enabling seniors to thrive independently and participate in their community for as long as possible – because aging in place is exactly what seniors want to do. One of the key findings from ASHRA’s survey of more than 1,700 Atlantic Canadian seniors overwhelmingly demonstrates that seniors want to stay where they are, even if it is not very practical or is unaffordable. Almost half of survey respondents reported less than $30,000 income per year, and a significant percentage of these individuals spend more than 30 per cent of their income on shelter costs, meaning that many seniors continue to reside in homes they are unable to afford. While the needs and preferences of the boomer cohort will likely be different than those of current seniors, the overall message, that staying in familiar surroundings is important to seniors, is unlikely to change. Findings from the ASHRA survey also show that seniors generally fail to plan for the future when it comes to housing. 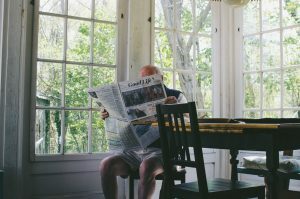 Seniors have typically lived for a long time in their current dwelling, so when the need to move occurs, there may be increased anxiety, apprehension and confusion. As Realtors, it is important to understand that attachment to the home can be a powerful force – which may be especially true for seniors who have many years of memories tied to their residence. The familiarity, comfort, and meaning associated with home, as well as the feelings of control and independence that come with living there, are the most common explanations for the strong desire among seniors to age in place. There is a disconnect between what today’s seniors want to do and what they are able to do. Although they want to age in place, in their own homes, in a familiar community, the probability that seniors will have to move increases with each passing year. As the years roll on, the likelihood that their current dwelling meets their needs in terms of accessibility, mobility and safety, becomes less and less. Realtors can help baby boomers avoid the housing struggles that today’s seniors face. Realtors can assist boomers in making informed housing choices that can support their needs as they age by opening up the discussion about long-term plans for housing. By applying what we know about today’s seniors and their housing needs and preferences, Realtors can become better providers of housing services to aging baby boomers facing housing decisions that will affect them in years to come. The real estate industry can also have a profound affect on the housing choices of seniors and aging baby boomers by encouraging them to think long-term. Considering that going up and down stairs, doing household chores, and maintenance work are the most commonly reported challenges for seniors with health problems, the importance of considering design and structural characteristics in the selection and buying process cannot be taken too lightly. Start by looking at the layout of a home, or physical space, when counseling home buyers. To raise awareness of the potential need to adapt and retrofit dwellings in the face of physical challenges, Realtors can encourage older home buyers to use a critical eye when considering the physical features of a home. Whether a space meets the needs of seniors with physical challenges “as is”, or can be adjusted by retrofitting, addressing the ability of a residence to be adapted to changing needs is an important consideration if clients hold the expectation that they will age in place. But it is not just about physical space – community place is equally important. In the selection and purchasing process, helping seniors and older boomers assess a potential community in terms of availability of supports and assistance should also be explored. 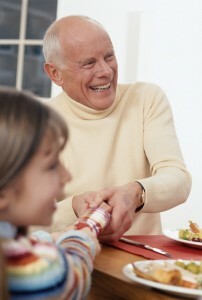 According to the ASHRA study, children and other family members are the number one providers of assistance to seniors, but the availability of other services and resources at the community level (transportation, health clinics, and opportunities for social/leisure engagement) should be assessed to help find the best fit for today’s seniors and the boomers buying another home. Despite the clear importance of assisting seniors in finding affordable and suitable dwellings, the reality is that there are limited housing options for our aging population at the present time – especially in rural communities. While a lack of affordable and suitable housing presents a problem to the current senior cohort, it also presents an opportunity for the real estate industry to influence the construction market for the up and coming senior generation. For more information about the Atlantic Seniors Housing Research Alliance (ASHRA), visit www.ashra.ca or contact Yvonne daSilva at (902) 457-6561. Kelly Fenn is a masters student at Dalhousie University working as the knowledge transfer graduate student assistant with ASHRA. Pamela Fancey is a co-chair of the ASHRA project’s Knowledge Transfer Working Group and is the director of the Nova Scotia Centre on Aging.